For everyone who is just starting to get to know more about e-learning, it could be a difficult to catch on to the terminology and understand everything clearly. The standards in e-learning are essential to understand, but they can sometimes be quite complex, which doesn’t help at all. Two of the best-known standards that you can find in e-learning are Tin Can API and SCORM and they are used for providing a better online learning experience with reporting and tracking. For learning management systems (LMSs), SCORM was very important because it allowed courses to pass some of the most basic information onto these platforms. Tin Can API was designed with similar goals in mind, only that this concept takes all of this to a whole different level. If you are looking to get into e-learning and learn more about it, you’ve probably heard this term many times and you don’t understand how it’s related to the whole topic. This is why learning about it right from the start is key. The whole thing started with the Project Tin Can and the name simply remained. Both the terms Tin Can API or Experience API (xAPI) are same things, hence don’t be confused by these terms as they are used interchangeably. No matter what you decide to use, everyone who understands it and has knowledge about this topic won’t face any issues. You can even find people referring to it as Tin Can, which is just a shorter version but it refers to the same thing. For the purpose of this post, we will refer to it as Tin Can API, as we started this way and we wish to remain consistent. What Hides Behind the Name Tin Can API? API is short for application programming interface and the main purpose of its design is to allow tracking of various learning activities and storing them all in one platform, usually a learning management system (LMS). The application programming interface is a protocol which allows communication between different software programs and creates a channel between them, through which they can share information. SCORM is a set of standards that can allow e-learning courses to communicate with learning management systems, but Tin Can API also allow many different software solutions to track the learning activities of a certain user. Although Tin Can API can still do what SCORM does, it can also keep track of all of the learning experiences that a learner takes part in and store them in a learning record store (LRS). This improvement in e-learning standards has made more room for innovation as many different learning activities can now be tracked. As an example of Tin Can API use, it can be employed by LMSs for creating browser extensions which will help the learner track all of the content that they are learning from through their browser. How Does This Learning Record Store Help? The learning record store is actually one of the key elements of Tin Can API. It stores separate records of all of the learning events of each participant. A manager can roll all of the records together to learn important things about how the learning is taking place within an organization. The LRS allows a computer to design and send countless statements in the background, and these statements are all curated by Tin Can, as it controls the way they are created, interpreted and sent. Simply put, it creates a standard for them. For developers, this can save a lot of valuable time and hard work, as they previously had to manually create solutions that would allow data circulation. This process can cost a lot of money and last for a long period of time, and the fact that this process is now streamlined is revolutionary. From there on, it’s up to the user to utilize this data as best as possible – the options are endless and it is up to the organization to make the most out of it. The elearning industry has already started to transform in different ways with the introduction of Tin Can API. Organizations looking to adopt this new standard will have a much better understanding of all of the training and learning efforts that they put in, and they will be able to create more effective programs that will bring better results. Tin Can enables organizations to determine what kind of training paths they take will help them get the best results possible. Not only is this a great benefit for organizations, which will spend less time on training because they will be more efficient at it, but learners will also benefit a lot because they will participate in more engaging learning that they will enjoy. Anyone who switches to Tin Can will have great advantages in the training department, and organizations that do this will be able to gain a great competitive advantage. On top of that, if we are talking about educational institutions, they will also be able to attract more learners as their courses will be better curated and more engaging. What Tin Can API Means for Organizations? Whether or not Tin Can API will prove beneficial for you depends on your specific needs, or to be more precise, the information you are trying to acquire. 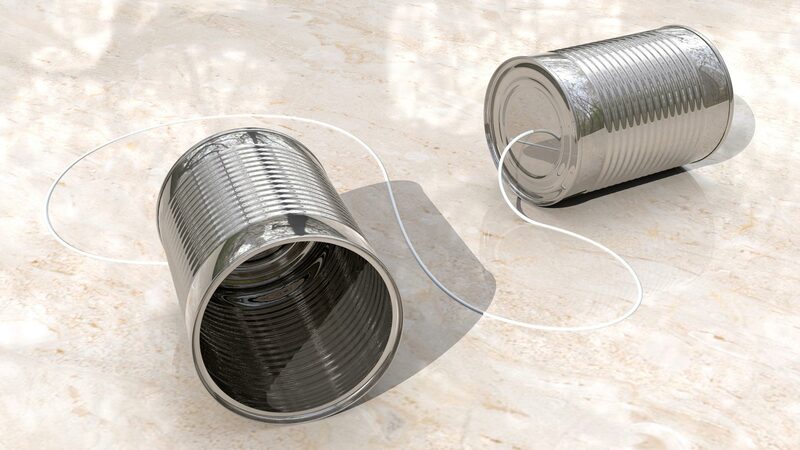 Organizations that need Tin Can are the ones that are looking for mobile learning. On the other hand, if you want to collect a lot of different data about your users and their behaviour, and you have the resources to analyze this data and make sensible decisions based on it, then employing Tin Can API may be the right way to go. A lot of organizations have taken a serious interest in Tin Can API, as there are endless possibilities with this standard. The future of e-learning relies on Tin Can API and it has been gaining more and more popularity lately. Organizations that want to make progress in this area are investing in exploring additional possibilities for utilizing Tin Can and you should as well. How Machine Learning is Remodelling eCommerce? How Should You Learn When You Start a Business?